You should have a sample project that can be build with Gradle Command. If you want to cross verify whether plugin correctly setup, you can check by putting log.info(“Check point”) in your gradle.build file. In most cases, you will need to pass user defined variables to jmeter which are known at run time only. Lets first load the jmeter script file that is .jmx file. For that one can make use of jmeterTestFiles parameter. So now, put your script is in your project directory, and now if you enter your gradle jmeterRun , it will load your jmeter scripts. Hope you are able to run your first script. If yes, than check your build directory, it will have jmeter folder and jmeter_report. Explore it. It will have all property file and logs in jmeter folder. Jmeter_report will have the final output in form of xml and the html report for fancy user friendly display. Go impress your boss. The most useful case is to pass jmeter user defined variable through gradle. For example the basic one would be the Server ip and Port number. Above command will run the jmx file setting the value SERVER and PORT in jmx file. System.getProperty(‘Key’, ‘default value in not provided’) . So by above command you can simple catch any parameter that you want to pass to jmeter. Now how do you pass these parameters to jmeter. For the given plugin, you can make use of jmeterUserProperties file. Hope you able to run everything smoothly. Below is the screen shot of terminal. Please ignore the grammatical mistakes. In this article we go through the basics of R and MongoDB. 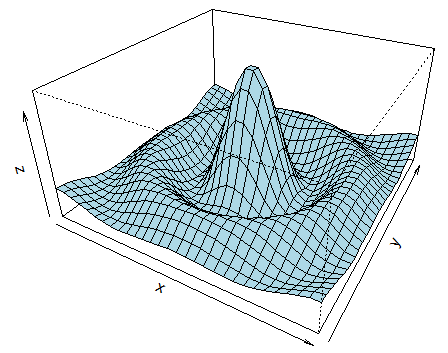 To start with R, it is statistical programming language. It is an interpreted language so it executes instruction directly rather than first compiling it and than executing it, it directly executes the instruction from the console. 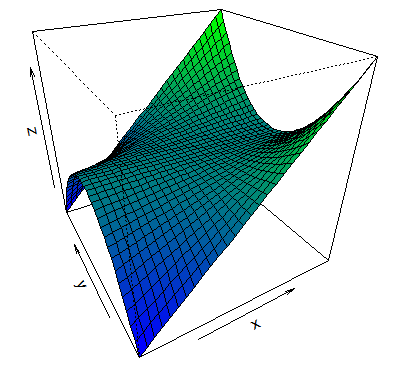 R due to its statistical inbuilt and add on packages, is very popular among the statisticians and data miners. On top of all these features, R also provides package to visualize the data in 2D and 3D way to get more clear picture of the data and result for better analysis. Below command can be directly written to R console or R Studio. Suppose anyone need help to understand about the function called : min. He/She can make use of help function as shown below. Above will pop up the page for the help on function min. Suppose someone still needs to understand how to use the min function. He/She can make use of example function as shown below. Suppose someone is unable to find function for month then they can make use of apropos function as shown below. For data analysis on data having different types of data types R provides many data types to cover most of them. Below are the main data types that are widely used for data mining and machine learning purpose. It provides so many ways to visualize the data in different form. As discussed above, there are many data types that R has provided. R has also provided a structure of keeping data in form of tables, it is Data Frame. It is list of vectors of equal length. Different type of data can be imported to R and stored into Data Frame. Source can be csv, xls, table, txt etc. 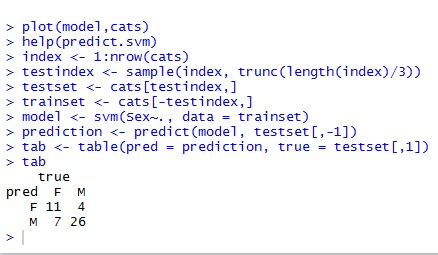 For example below command will load and store the data of data2013.txt kept on local file to sampleDataFrame in R.
One more feature that R has provided for a quick view, one can simply take a snap of any data by CTRL+C and import the data to R.
In real world scenario, most data are stored in the RDBMS. R has provided interface to connect to them easily. R has also provided interface for No SQL data base like MongoDB which is in most demand for the BigData analysis and mining. 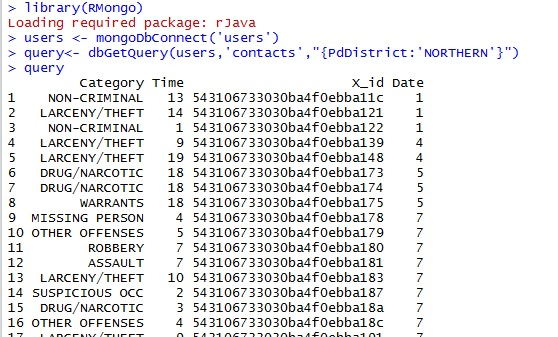 R has provided RODBC, RMySQL, ROracle, RJDBC interfaces to integrate with relation data base, and it has also provided RMongo for the MongoDB (No SQL database), RNeo4j for Neo4j (Graph Data base). It is very easy to use these interfaces in R.
Consider an example where one need data from contacts collection of users database in MongoDB. As data analytic or data miner, requirement of classification and clustering comes very often, and as R has very rich packages, there are many packages in R is provided for the same. Same goes for any specific problem for above. For example suppose anyone wants to do a SVM classification, there are e1072, kernlab, klaR, svmpath, shogun packages available to achieve same. Lets take an example with e1072 package. As shown above, we have loaded the package of e1072 and also the sample data of cats in the R.
Now in order to do the classification, we need to create a model from the available data set. 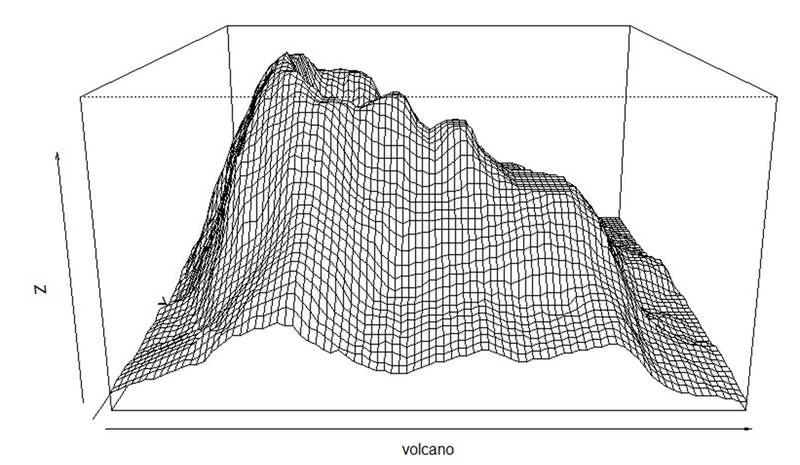 For a classification problem, will need a test and training data set. To verify the result there are many packages available like Gain and Lift Charts, K-S or Kolmogorov-Smirnov chart, ROC Chart, Area Under the Curve etc. Below is the confusion matrix. As shown above, we have correctly classified 37 instances and 11 instances are wrongly classified. 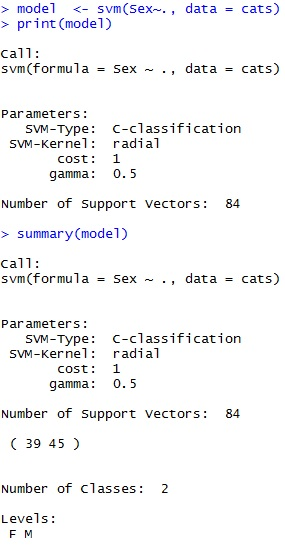 So concluding, R is very rich language to use as it has wide range of packages available for data modeling, analysis, and visualization. It is an Document Database which is not tightly bounded with schema, so it is well known for its features like Schema less, Clear Structure. Considering large amount of data, MongoDB is proven to be deliver high Performance, high Availability and easy scalability. It stores data (documents) in BSON format which is binary-encoded serialization of JSON. One documents has a size limit of 16 MB. 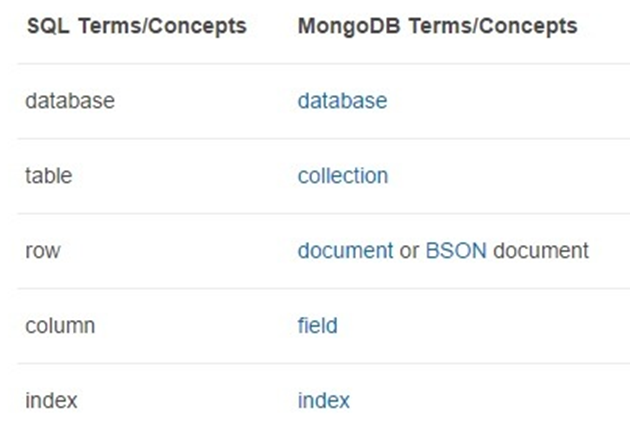 Below is the documents format that is maintained in MongoDB. MongoDB is easy to install. 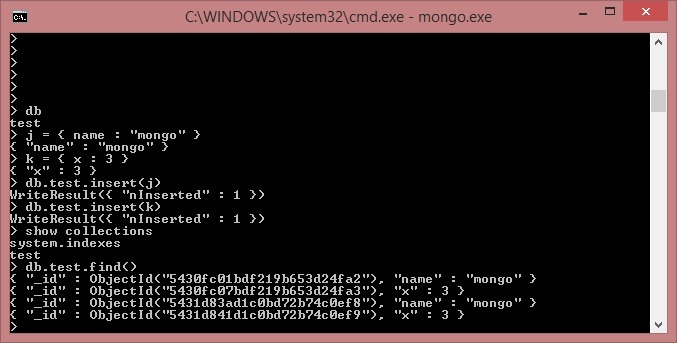 Importing data from files to MongoDB. To apply conditions limit check, sorting etc. Concluding MongoDB by mentioning its very useful feature that is MongoDB has provided MapReduce Support as well. Thus, R is an enriched statistical programming language with many predefined easy to use packages and MongoDB is schema free highly scalable database available mostly suited for big data mining. In this post we will go through examples of neo4j simple and complex queries. We will go through some neo4j samples and some scenarios. Lets begin with the basics. 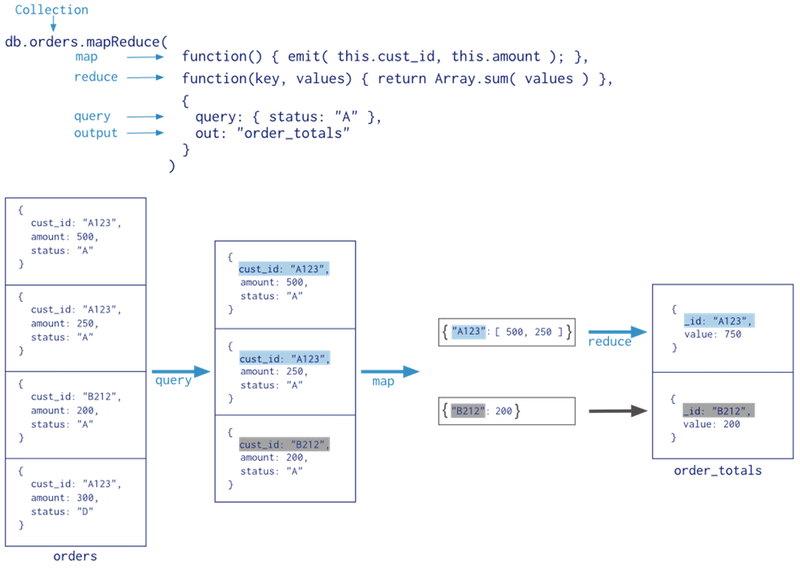 Above query will create nodes of type Actor. 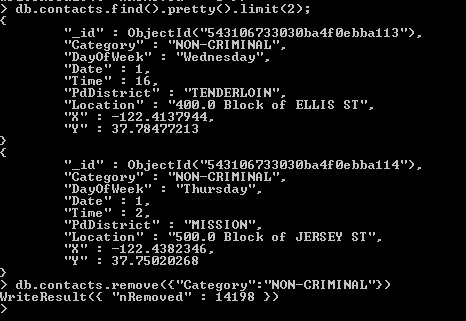 Above query will simply add property friendsCount to all Actor nodes. Let take an example, Drew Barrymore starts following Paris Hilton, so she just sends a request. WHERE actor.name = "Drew Barrymore" and actor2.name = "Paris Hilton"
Above query can get you in trouble because whenever you execute it, it will create multiple relations between same node, and can cause confusion. To solve this we can use UNIQUE keyword as shown below. Suppose, on top of this you also want to log the information like whenever you try to update the same relation you just want to log a timestamp or a flag. For that we can use the below query. Suppose, if you want to update the status value only, considering that Paris Hilton has accepted here follow request. Above query will update the Follow request status property from pending to accepted if and only if it is pending. And at the same time will also update the friendscount of both the node. One can also make use of CASE feature of Neo4j as seen below. CASE WHEN follow.status = "pending"
The above query works the same way as the previous one, but there are many scenarios in which the above query can help you like adding multiple case scenarios. Note: Don’t forget to put END after case. 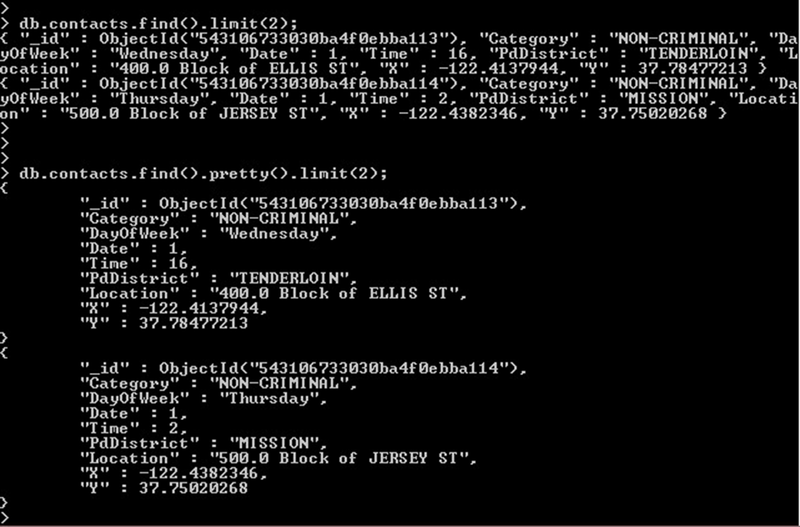 nodes of Movie with property “name”( name of movie) and “likes”(number of likes). Actor can have LIKE relation with node Movie. 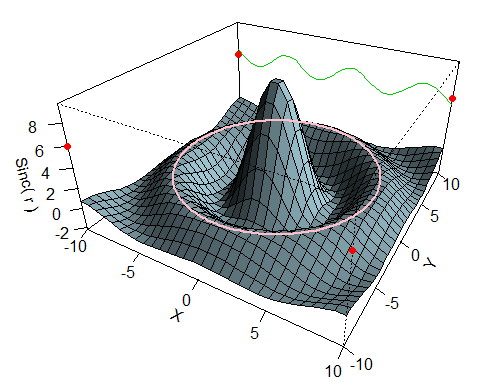 This scenario can be represented using the Figure below. Blue nodes are Actors and Orange ones are Movies. rest of nodes are other movies that are liked by Paris Hilton. We can clearly see that the output of the above query will be the node of Drew Barrymore. One more example. This query will output all the actor nodes with Age greater than 19. Normally, you won’t find any trouble in above query, but in real word, there will be a need of some complex retrieval combining properties and node status. Suppose, you want to suggest your actor some moview. In our data lets assume that Drew Barrymore is following (Approved) Paris Hilton. Drew Barrymore has already liked “ET” movie and Paris Hilton has liked “ET”, “Grown Ups”, “The Grudge”, “House Of Wax”. 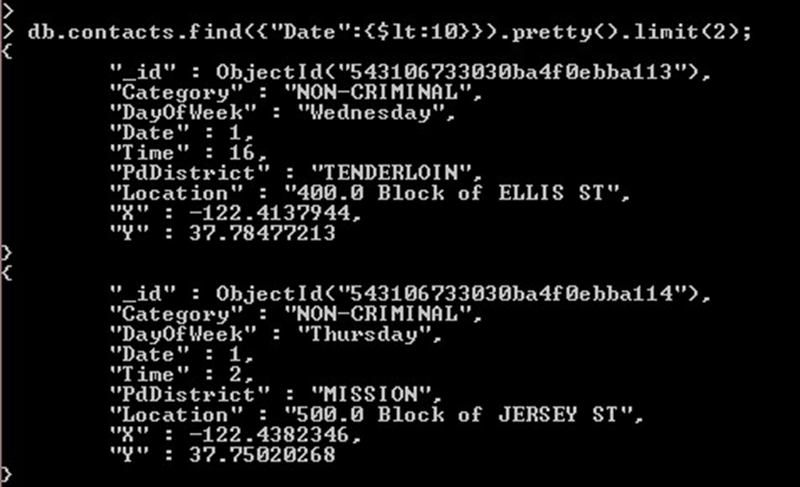 To fetch data as shown above, one can use example query like the following. WHERE actor1.name = "Drew Barrymore"
Thank you for reading and please feel free to comment if you encounter any difficulties or specific scenarios. Also if you like to set up High Availability Cluster of Neo4j for your organization or personal use please have a look at http://neo4j.com/docs/stable/ha-how.html. 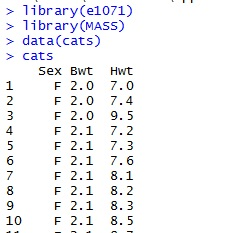 Suppose your dataSet is Cats, given in the MASS library. Now if you want to add new Row to existing one. When Binary Search Tree can perform worst?